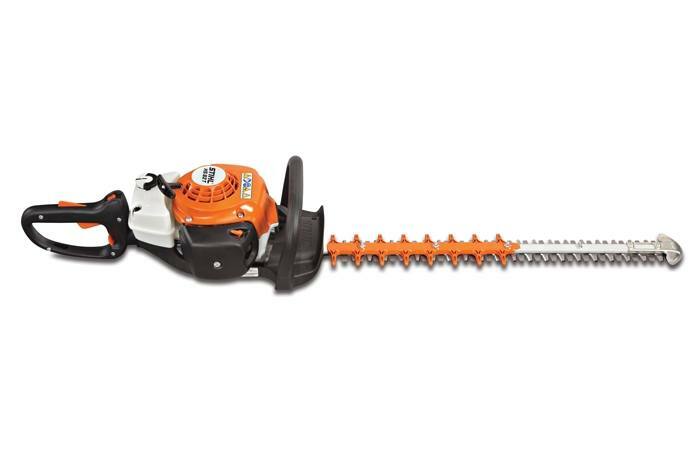 This gasoline-powered hedge trimmer provides greater fuel efficiency and less weight when compared to the previous models, while delivering precise trimming performance. Power, portability and precision make the STIHL HS 82 T a great choice for professional landscapers tackling fine pruning tasks. The “T" indicates a cutting blade specially designed for precision sculpting and trimming applications. Available in both 24" and 30" blade length options. The HS 82 T also features a low-emission engine that uses 20% less fuel than previous models, reducing fuel costs and improving the bottom line. Combined with its low-vibration technology and a swivel handle for comfort and control, this trimmer is the machine pros have been looking for. Blade Length: 24" or 30"
24 in. or 30 in.